Safe trick-or-treating will be offered in WIU residence halls Monday, Oct. 30. A haunted house experience will be offered in Thompson Hall for children the same night, and for adults and teens Oct. 27-28. 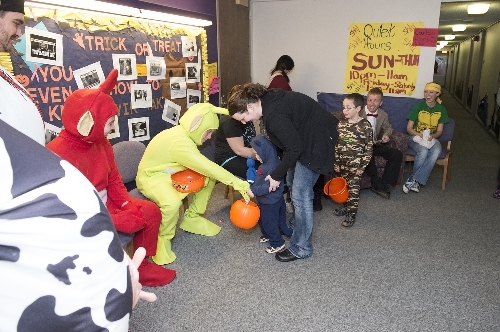 MACOMB, IL - University Housing and Dining Services (UHDS) at Western Illinois University will once again sponsor its annual Residence Halls Safe Trick-or-Treat program from 6-8 p.m. Monday, Oct. 30, in conjunction with one of the Macomb community evenings. Children ages 2-12 are invited to trick-or-treat and/or play games in a safe environment. Guides will be provided through the residence halls; however, all children must be accompanied by a parent or guardian. • Bayliss-Henninger (enter through the Henninger Hall basement) will host face painting and a variety of Halloween games. • Corbin-Olson (enter through the east entrance of Olson Hall) will host games and activities in the Corbin-Olson dining center area and will have trick-or-treating on a few designated floors. • Lincoln-Washington-Grote (enter through Grote Hall) will host a Halloween movie, costume contest and a variety of games. • Tanner Hall (enter at north door) will host events in their main lobby circle area, which include trick-or-treat in a centralized area, games and a Halloween movie. 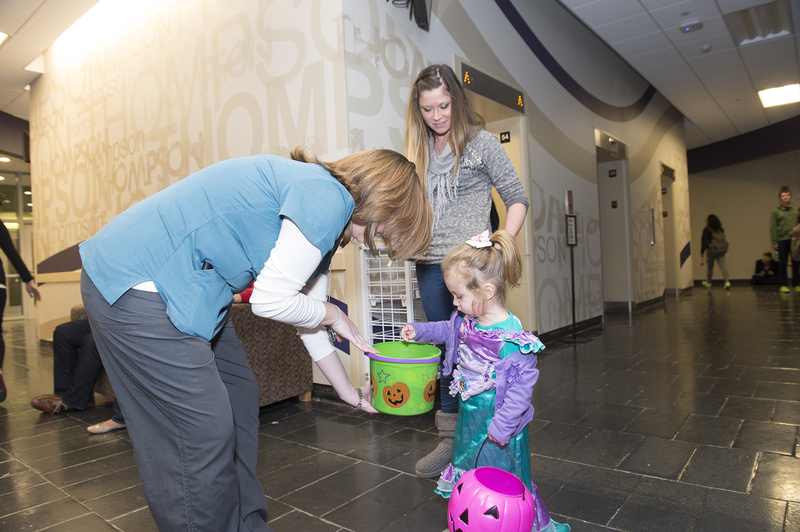 • Thompson Hall (enter through the Thompson Hall main lobby) will have guides to take families on designated floors for trick-or-treating and offer activities in a centralized building area. In addition, Resident Assistant Council members will sponsor "Haunted Housing," a haunted house experience suitable for younger children from 6-8 p.m. Monday Oct. 30 in Thompson Hall. A scarier haunted hall, intended for adults and teens, will be held from 6-11 p.m. Friday-Saturday, Oct. 27-28. While the Oct. 30 activities are open free to the public, the Haunted Housing admission fee, Oct. 27-28, is $3 per person or $2 and donation of a nonperishable food item. Items will be donated to area food banks. "This is always an exciting event for us to be able to partner with the local community and invite the families into our residence halls," said Mishelle Oaks, director of residence life at Western. "Our college students enjoy interacting with the children and hosting Halloween activities each year." For more information, contact Oaks at (309) 298-3328 or email md-oaks@wiu.edu.